Dave hosted our new years party at the Hollybrook Tavern in derby he was excellent and his choice of music was fantastic I have no hesitation in using his company again. I would not hesitate in recommending Solar Entertainments. 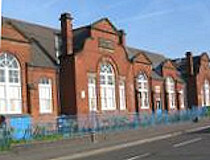 They're really easy to work with, very friendly, and exceptionally accommodating of requests. The quality of the equipment is first class, with really up to date songs as well as the classics and its really easy to use - even for a non-techie like me! Went down really well at our staff Christmas party on Friday night. 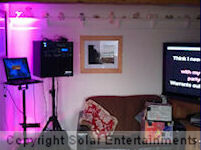 Solar Entertainments supplied Karaoke equipment for our Christmas party. From my initial enquiry right through to delivery and pick up on the night, their service was excellent - they were polite, professional and offered very good value for money. I would certainly use them again and recommend their services. 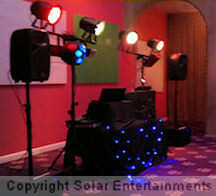 A great disco service from Dave at Solar Entertainments. Played our song request list and managed to fit in a few guest requests too. Great lights and sound. Punctual at the venue and lots of communication from enquiry/booking to the party date. 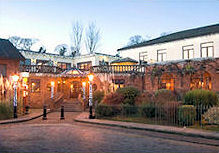 Would not hesitate to book again. It was a pleasure to use Solar Entertainments. We hired the do it yourself Karaoke, which was so simple to use. Dave was very punctual, and made sure you understood everything before he left. 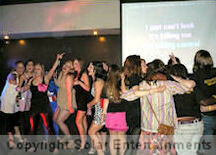 Everyone had such a good night, and there is such a diverse range of songs to choose from. I will definitely be recommending Solar Entertainments to friends and family. Thanks Dave. Dave was fantastic. Very patient with a room full of over excited thirteen year old girls! Cannot recommend him enough. Played the right genre of music to keep them entertained and was happy enough for the kids to make personal requests. Thank you so much. We hired the karaoke machine for our wedding night do and it was really easy to use - and it was well used by our guests. Service was excellent - Dave quickly replied to all our emails and requests and he set it up without any fuss on the morning of our wedding. Our deposit was returned promptly. Many thanks to Dave for being reliable, professional and always very friendly. Would recommend highly, the equipment was great and worked well - shame that our singing was not to the same standards. Couldn't have asked for a more professional and efficient hire. Booking, installation and return of deposit were handled quickly and courteously. Thank you! Fantastic school disco. Dave the DJ provided great music, lights and sound. An absolute pleasure to have in school. I would definitely recommend Solar Entertainments the personal service we received from start to finish was excellent. Karaoke machine was delivered promptly and clear simple instructions were provided, it was very easy to use. Everybody really enjoyed, it was great fun!!! 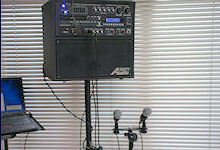 Karaoke equipment hire - I was delighted with the quality of service and quality of equipment. All questions were answered very promptly. Thank you for helping make our event a great night! We hired a do it yourself karaoke for our 25th wedding anniversary party at home in the garden. Everyone who came enjoyed it (especially the kids). Delivery was prompt as was the collection will definitely have it again!!! Used solar entertainments for my daughters 13th Birthday. He was punctual and very friendly but most of all he kept the kids on the dance floor all night and very well entertained with the karaoke. Would definitely recommend and use again. Thank you for a brilliant evening. 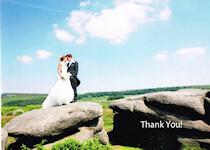 Dave DJ'd at our wedding on 7th September 2013, and comes highly recommended by us. The communication throughout was brilliant. We chose Solarentertainments because of the reviews, and the option on the client and guest areas to choose music. We really enjoyed adding music we enjoy as the months went on, and guests would pass us their song requests to add on our list if they weren't too computer literate! Also worked as a lovely wedding invite insert. Dave was pleasant throughout and everyone really enjoyed the music. He was able to pick out some brilliant song choices. He also allowed my bridesmaids daughter to play the "Cupid Shuffle" on her phone so that she could teach us the dance, and played the flower girl her favourite 1D song! Fabulous touches that made us very happy with the service provided and we'd definitely use this company again! Absolutely fantastic, myself and Jo thought you were excellent and all our friends commented on how good the DJ and disco was. How you managed to fit all the requests in I don't know. You surely made an excellent day even better. Thanks again and I will save your details for if we ever need your services again. We had Solar Entertainments for our wedding and it was outstanding. They were punctual and efficient and played the music that we enjoyed! We danced the night away and had lots of fun, I would thoroughly recommend Solar Entertainments! The whole process from order, delivery and pick up was very easy, friendly and efficient. I would highly recommend. Lovely guy. Turned up well before time. Listened to what everyone wanted and accommodated. Would 100% recommend Solar Entertainments. Thankyou so much. The karaoke equipment was much better quality than I thought for the cost. Worked wonderfully. Thank you for making my daughter"s 21st that bit more enjoyable. Everyone had a wonderful time and the service was excellent. We hired a karaoke machine for a hen party. The price was much cheaper than any other company. We were given clear instructions on how to use the karaoke machine which was easy to use, thousands of songs available and was really fun to use. The set-up and pick-up was done on time and we were told who to contact if we had any problems. Thank you for such a good service. Dave provided a superb evening of entertainment. His set up was superb and the room was enhanced by his lights system. He had a huge range of songs to choose from and there was certainly something for everyone from Disney Lion King to Tina Turner! 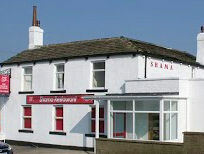 A great night was had by all and I would certainly recommend his services which are very well priced indeed. We used Solar Entertainments for our wedding. Dave provided a disco and karaoke. 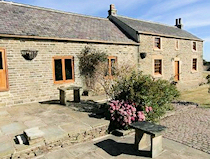 They were extremely professional and friendly in the run up to the day - very prompt email and telephone responses. On the day Dave played our full playlist at a volume which was fun but not overwhelming. He made the evening fun but not cheesy with just the right mix of Karaoke. We would definitely recommend them and would use them again. Right from the start communication was excellent. I really liked the facility to set up an online playlist prior to the event. During the evening the guests were also able to make requests and Dave even played a track from a guests mobile phone. A really nice man and very good at his job. Spot on, will highly recommend. Thank you very much :). 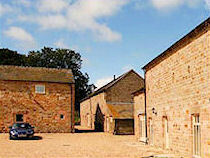 I would definitely recommend Solar Entertainments the personal service we received from start to finish was excellent. Karaoke machine was delivered promptly and clear simple intsructions were provided, it was very easy to use. Really impressed with karaoke hire for our 80's themed night. Dave was efficient and professional from the start of my enquiry right through to collecting the equipment after the event. The quality of the set up was fabulous. We all had a great time and i'd definitely use Solar Entertainments for future events. Thanks again. Excellent DJ with brilliant range of music available. Dave is a great guy who made sure I was fully aware of when he would call to set up the equipment. He arrived on time and showed me how it all worked (and it was really easy to work). The equipment was proper professional stuff and my friends and I all had a great time at my party. Would definitely recomend Dave - thank you! 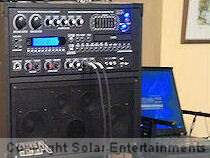 Solar Entertainments provided a DIY Karaoke machine for our charity fundraising event. Their customer service was outstanding from the initial contact to the refund of our deposit. Dave was friendly, helpful, reliable and professional. The equipment was very effective and simple to use. I would have no hesitation in recommending the services of this company to others. On behalf of B. Baggins Foundation for Limb Girdle Muscular Dystrophy, a huge thank you for helping to make our event successful. Great friendly service. Delivered, set up and collected the next day for a reasonable price. Very easy to use with good sound quality. The service I received was excellent - prompt communication, easy payment via paypal, on time delivery and good quality equipment. Highly recommend. Excellent Service. Professional. Very easy to do business with. Great equipment, Great price. Deserve to be recommended and will definitely use your company in the future. The equipment arrived at the hotel on time, was set up and the handover done quickly. The result - our team building evening was a fabulous success. First of many - I think. Thank you for making my wifes suprise 40th complete. We never ran out of songs over a 2 day party. Easy to use, great service and demo. Top man. Well recommended. Many many thanks. We will be back soon. We used Solar Entertainments for our wedding reception at Losehill House Hotel on 24th February and were over the moon with the service! Dave was very helpful from the start and advised us on anything we asked as well as explaining how to use the brilliant online music selector tools. On the night he set up quickly and quietly whilst we finished other formalities, and he came to speak to us as he was leaving to ensure we were happy with everything. Overall a very professional and brilliant value for money service - our guests loved that their songs got played and all commented on how great the night had been. Thanks Dave! The new Mr and Mrs Topley. We had karaoke at a hen party for 13 girls. All the build up to the party Solar Entertainments were very personal and were a pleasure to deal with. Even though we had ordered 2 screens, they weren't needed so got a refund - BONUS!! They arrived on time and set up with speed. Very good at explaining the instructions and even gave us their number should we have any issues late on in the evening. All in all what a top company and would definitely use again - thank you so much.